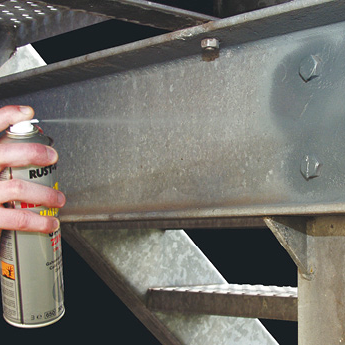 We hold in stock the full range of Rust-Oleum Hard Hat Aerosols. 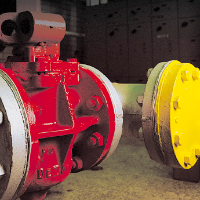 Amazing coverage and a well established product used by the industrial market. 1. GOES FURTHER! 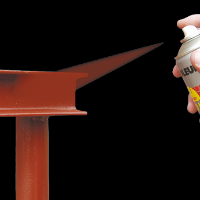 More paint in the can, resulting in higher coverage: 3-4m2.One HARD HAT aerosol equals up to 2-3 standard aerosols. 2. WORKS QUICKER! A higher film build without drips or runs, in one go. Twice the opacity of cheaper paint sprays (saving a cross layer). Normal coverage in one pass. Quicker drying: 10-15 minutes. 3. LASTS LONGER! Higher quality pigments for a longer gloss and colour retention.The tough flexible film resists chipping, cracking and peeling. If you require any assistance contact our support staff by email at sales@tools-paint.com or telephone on 01753 684084.